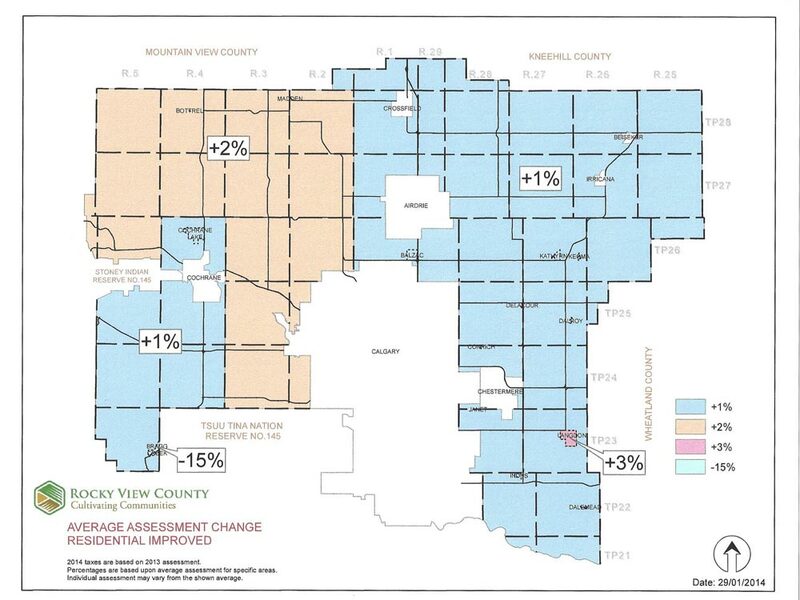 Last week, in an editorial, Rocky View 2020 stated that Rocky View County residential property values are flat compared to the growth around us. In contrast, all forms of residential real estate in Calgary (condos, single family) shot up by 6.5 per cent annually over the same period. 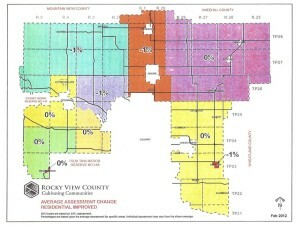 The Rocky View County Plan is one year old. It is supposed to “guide development and services for the next 10 years”, according to the County website. On Dec 2, Council will hear the assessment of the County Plan – how it’s worked, where it’s going. Rocky View 2020 will be there to provide some input, flag some issues, and offer some recommendations. The bottom line – the County Plan must be improved. Today the plan attempts to achieve the County vision of an “inviting, thriving and sustainable county” by rigidly dictating the type of growth that can even be considered, and restricting all new growth to a few specific locations. This approach is actively supported by a few elected officials and a few NIMBYs who work diligently to freeze out development. Within this narrow window, the current practice is significantly weighted toward commercial development – not people and families. The false premise behind this is that commercial development always makes the County money and people and families – i.e. residential development – is always a financial loser. We need to remember that achieving the vision is the overall objective, not the preoccupation with one form of development over another, at the expense of the balance that “thriving” depends upon. If I, as a Rocky View resident, save $1000 dollars in taxes but lose $100,000 in market property value due to stagnation, I have not been served well. The current protocol for looking at any residential proposal that doesn’t fit the very limited options of the County plan is evaluated on a 100 point scale. 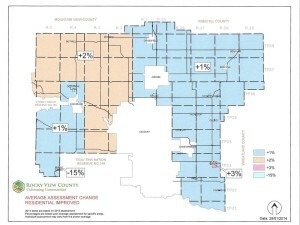 If it is not in the County Plan’s pre-designated areas – “growth nodes” – 35 points are automatically deducted. If the proposal involves building homes for people instead of places for stores, factories or other commercial development, it loses another 20 points. That means, in effect, that no matter how ideally such a proposal meets market demand, benefits community, contributes net revenue to the County, is supported by other landowners, and has servicing solutions in place, it will still have no chance whatsoever – even the very best proposals will automatically get a failing grade of 45%. The County Plan and the restrictive implementation protocol around it locks out even the best of the best proposals. This is not good, but as one Councillor recently expressed to me, she felt having a plan is better than – no plan. Good point. So let’s improve the plan. If we really want to see the “inviting, thriving and sustainable county” that lifts all of our property values, wouldn’t it be better to evaluate individual proposals based on a set of criteria that thoughtfully and thoroughly addresses their actual merit, and then prioritizes on a reasoned, rather than an arbitrary basis? 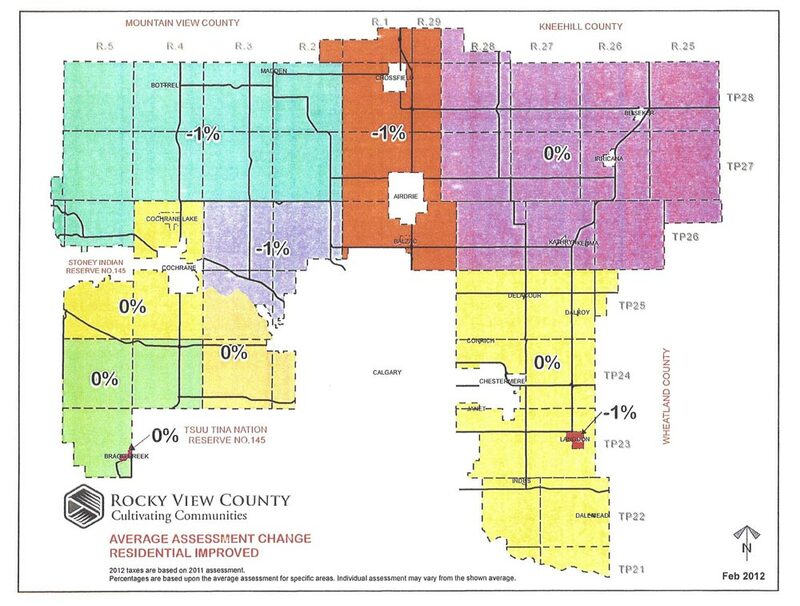 Rocky View 2020 is drawing from the outcomes of past County forums, many of the existing criteria of the County Plan, and key elements the County now uses to prioritize proposals, to develop suggested improvements to the current process. These improvements include considerations for an updated development protocol and a list of associated amendments to the County Plan. Watch for recommended improvements to the County Plan in the days ahead.